The law of personal property covers a very wide spectrum of scenarios and, unfortunately, has had little detailed scrutiny of its overarching structure over the years. It is a system and can best be understood as a system. Indeed, without understanding it as a system, it becomes much more difficult to comprehend. 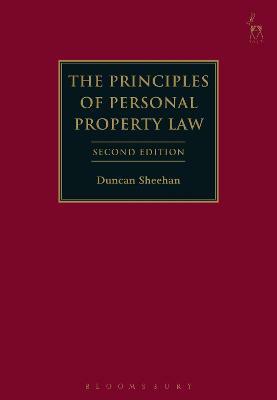 The second edition of this acclaimed textbook continues to provide a comprehensive yet detailed coverage of the law of personal property in England and Wales. It includes transfer of legal title to chattels, the nemo dat rule, negotiable instruments and assignment of choses in action. It also looks at defective transfers of property and the resulting proprietary claims, including those contingent on tracing, the tort of conversion, bailment and security interests. By bringing together areas often scattered throughout company law, commercial law, trusts and tort textbooks, it enables readers to see common themes and issues and to make otherwise impossible generalisations across different contexts about the nature of the concepts English law applies. Throughout the book, concepts are explained rigorously, with reference to how they are used in commercial practice and everyday life. The new edition also includes a new chapter on secured transactions law reform, and introduces new material on the Cape Town Convention, IP rights and other intangible property. The book will be of primary interest to academics and practitioners in the area. However, it will also be of use to students studying commercial or personal property law. Duncan Sheehan is Professor of Commercial Law in the School of Law in the University of Leeds.